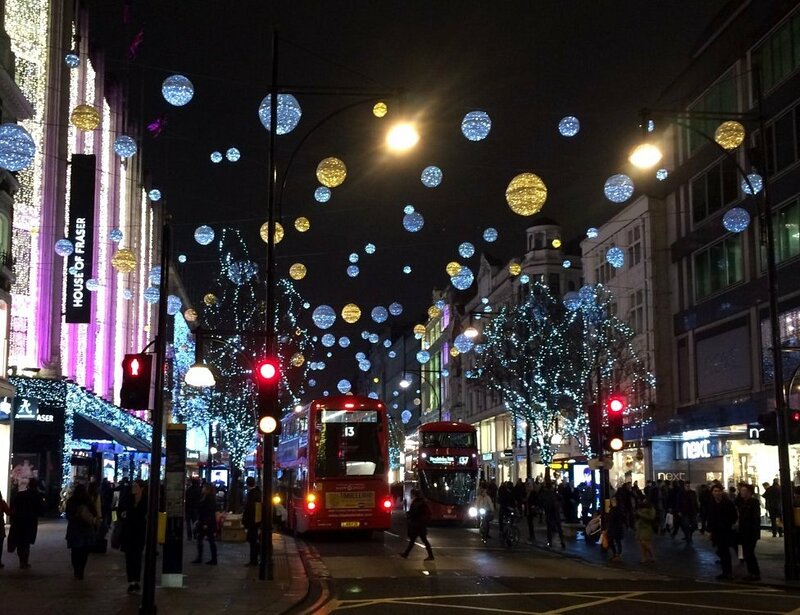 There are many famous ways that Christmas is celebrated in London, from the lights of Oxford Street to the Trafalgar Square tree. Some of these traditions have been going on since Victorian times, while others are relatively recent creations. BBC News revisited scenes from London's festive past to see how things have changed over 170 years. 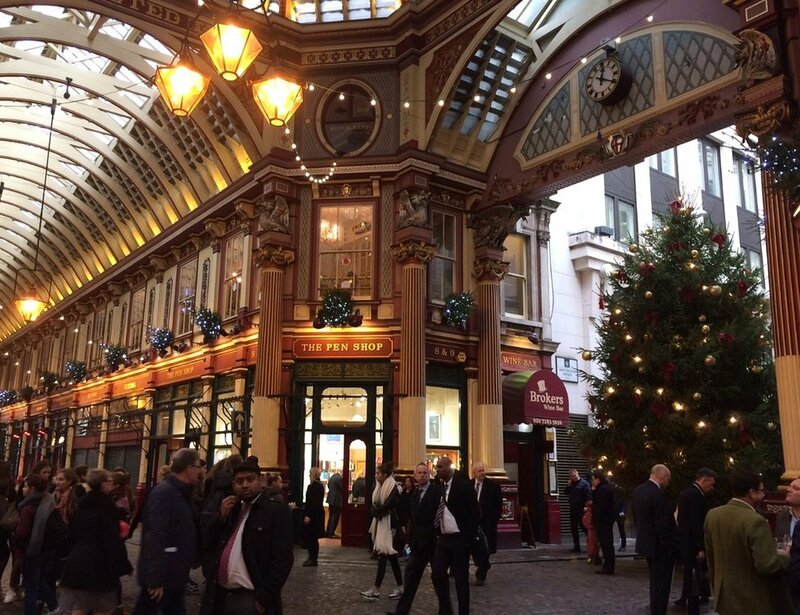 The hustle and bustle of Leadenhall Market was captured on Christmas eve in 1845, when it was a place to buy meat and poultry. The market, which began operating in the 14th Century, looks different these days following a redesign in 1881 when the stone structure was replaced with glass and wrought iron. The produce on sale has also changed. 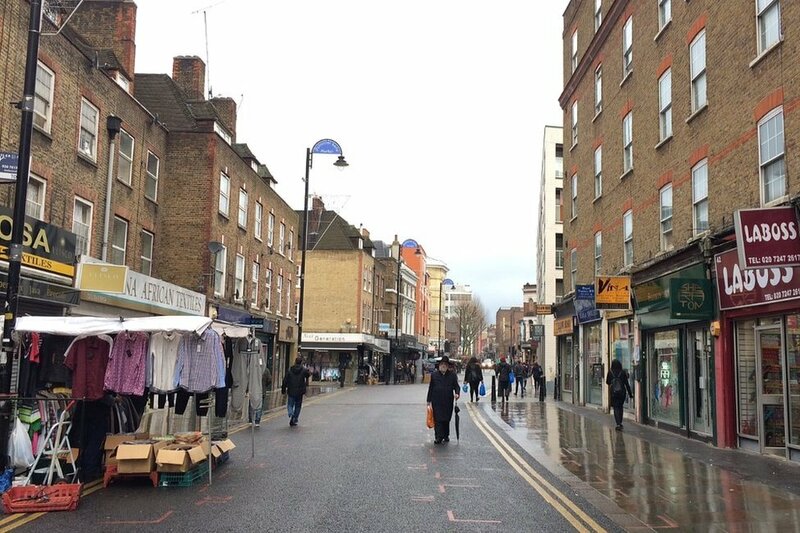 Today's Christmas shoppers are unlikely to find raw meat but instead gift shops, pubs, restaurants and the occasional film crew (it has been used as a location for several movies including the first Harry Potter film). 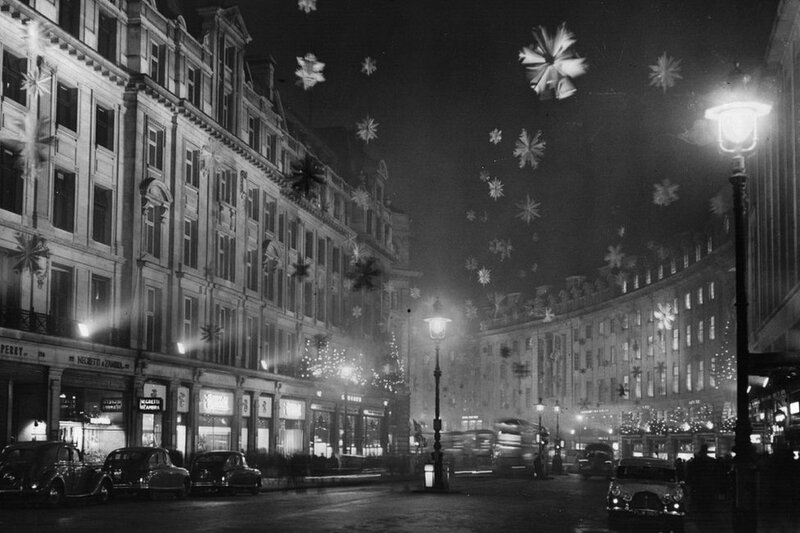 Regent Street claims to be the first central London street to have had a Christmas lights display, having first put them on show in 1954. 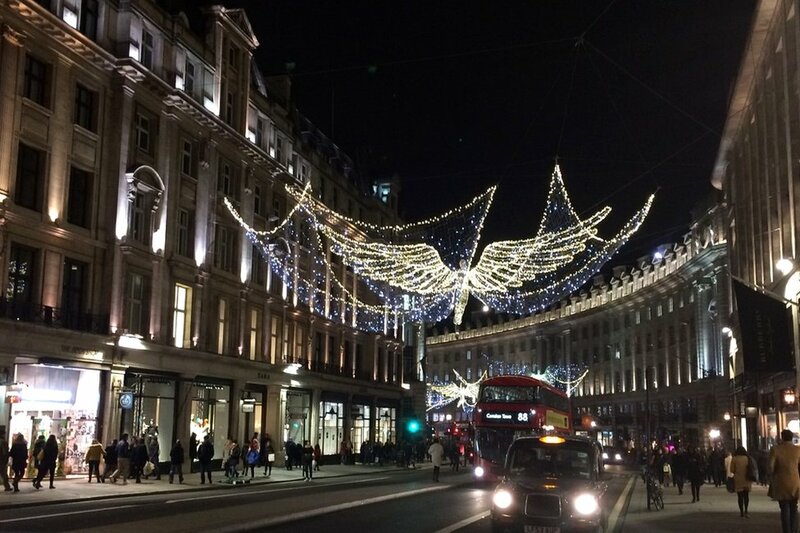 This year's theme has been called The Spirit of Christmas, which organisers say is a reminder of the street's "festive heritage". 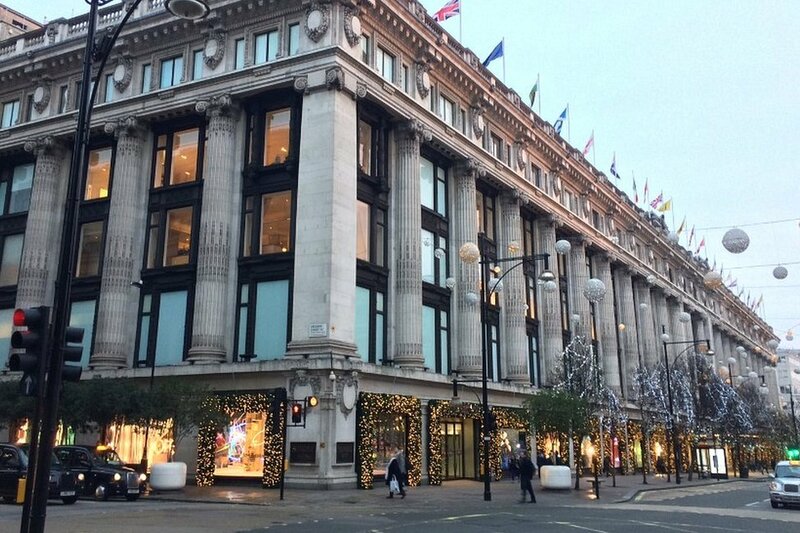 Selfridges on Oxford Street has been a popular destination for Christmas shoppers for more than a century. 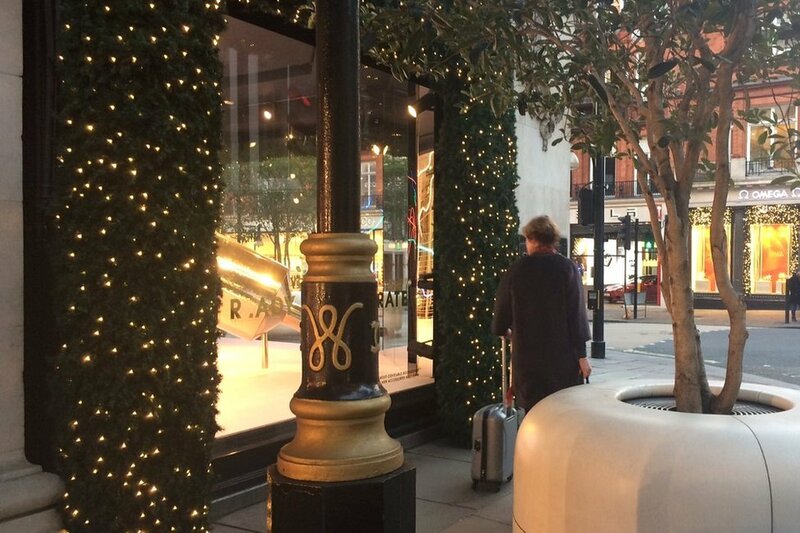 The store was opened in 1909 by Harry Gordon Selfridge after he arrived in the capital from Chicago. 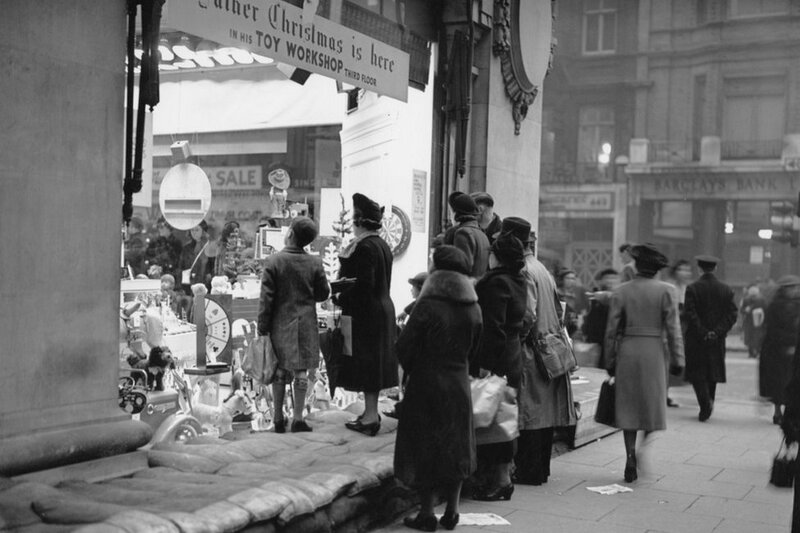 The outbreak of World War Two did not stop some Oxford Street stores marking Christmas. 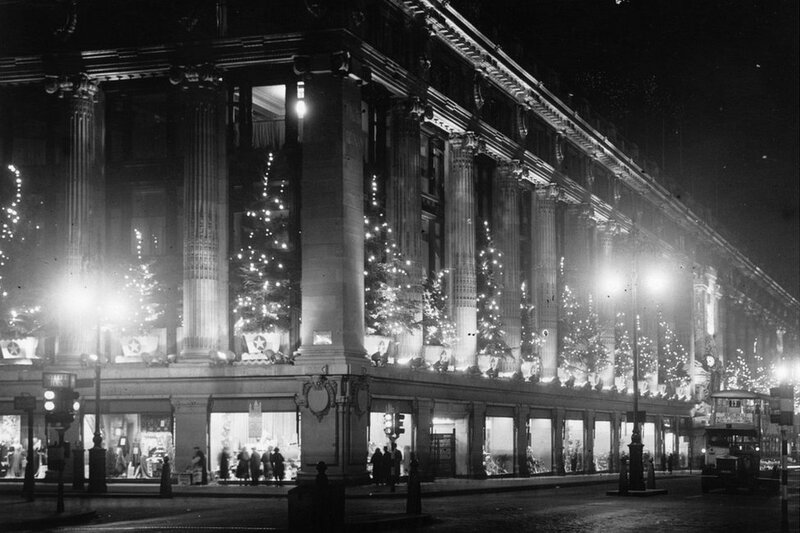 In 1939, sandbags were placed around the display windows of Selfridges to protect the glass against feared bombing raids. 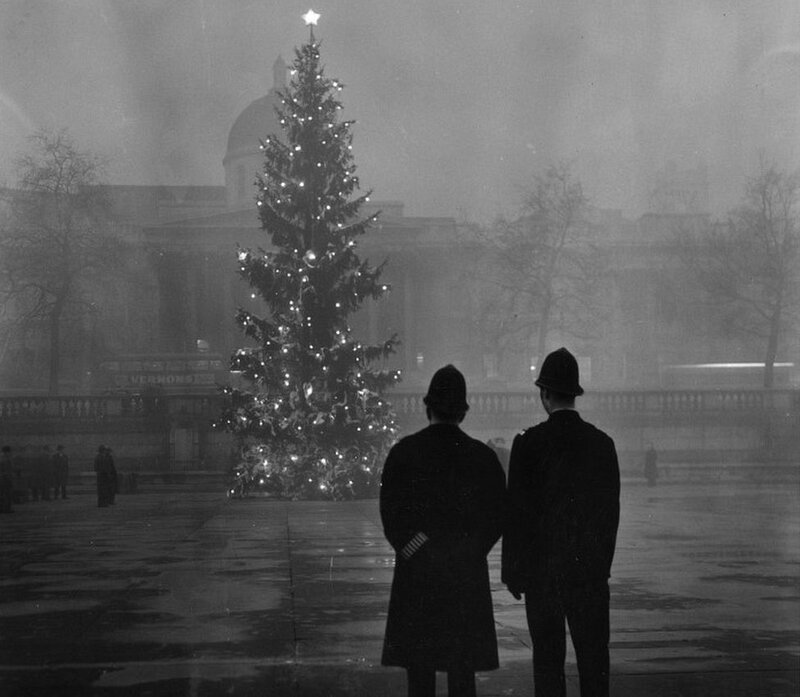 The Christmas tree in Trafalgar Square has been given to London by the people of Norway since 1947, as a gift for Britain's support during World War Two. 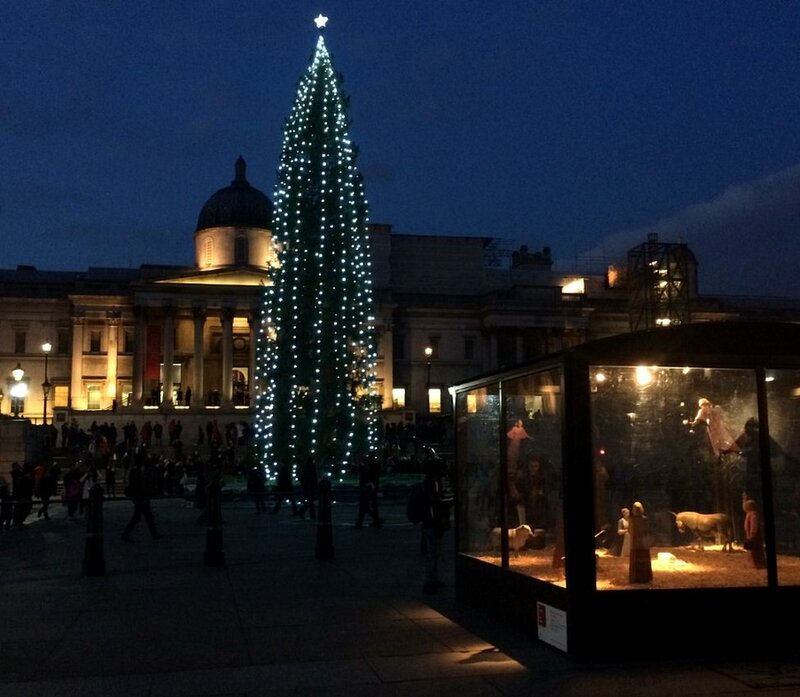 The layout of the square may have changed slightly but the tree remains a popular destination for tourists. 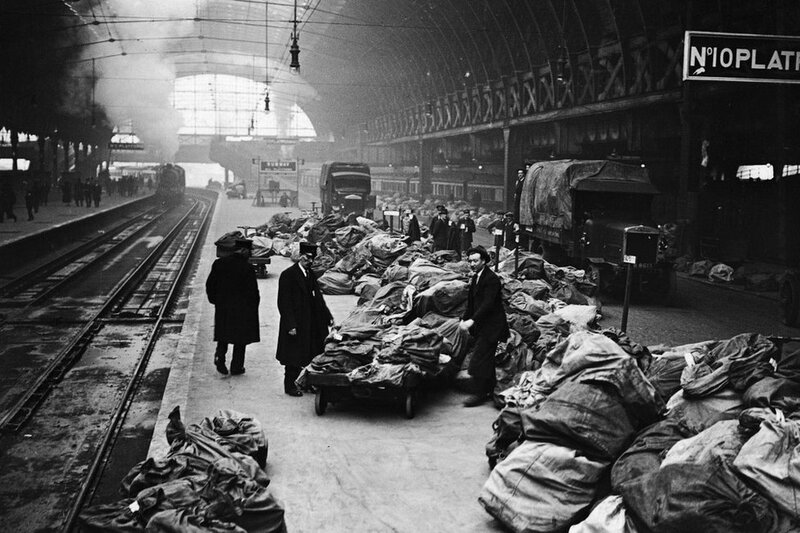 In 1922, Christmas mail from across the UK was piled up on the platforms at Paddington Station before being delivered to addresses across the capital. 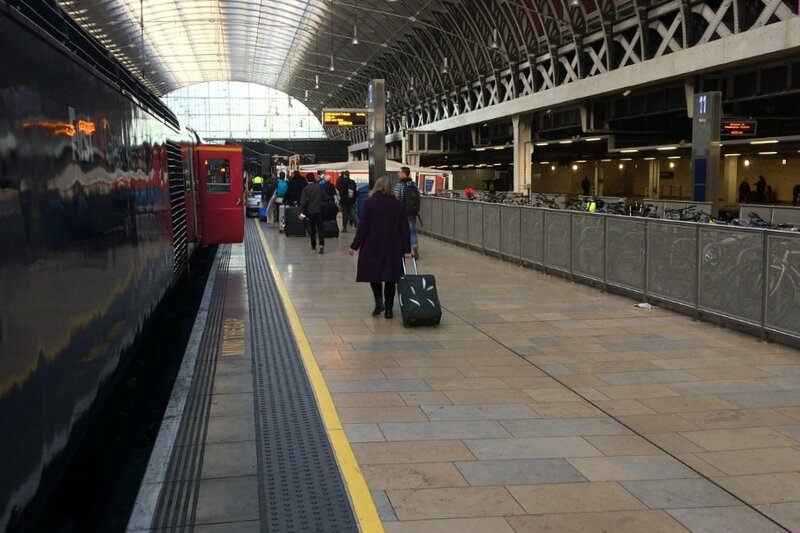 The same platforms have been used by travellers this year to make their way out of the city before the station shuts for several days for engineering works. 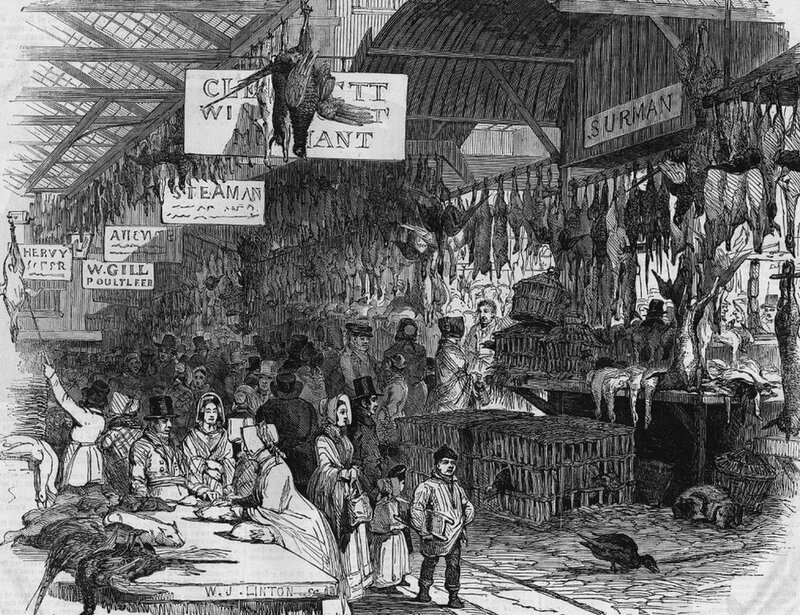 Petticoat Lane Market in the East End is thought to be one of Britain's oldest surviving markets, having first begun operating in the 1750s. 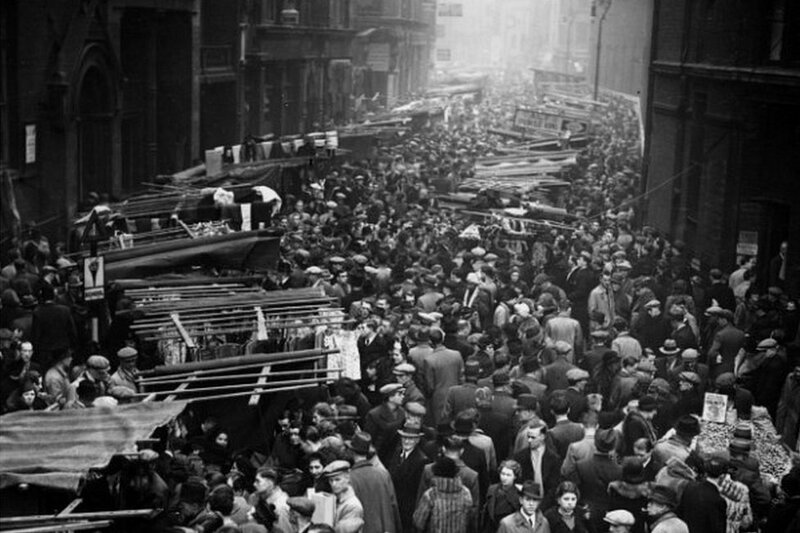 It is best known for selling clothing and leather goods, and while it may appear to have been a lot busier in December 1938, it still attracts shoppers - particularly for the main market on Sundays. 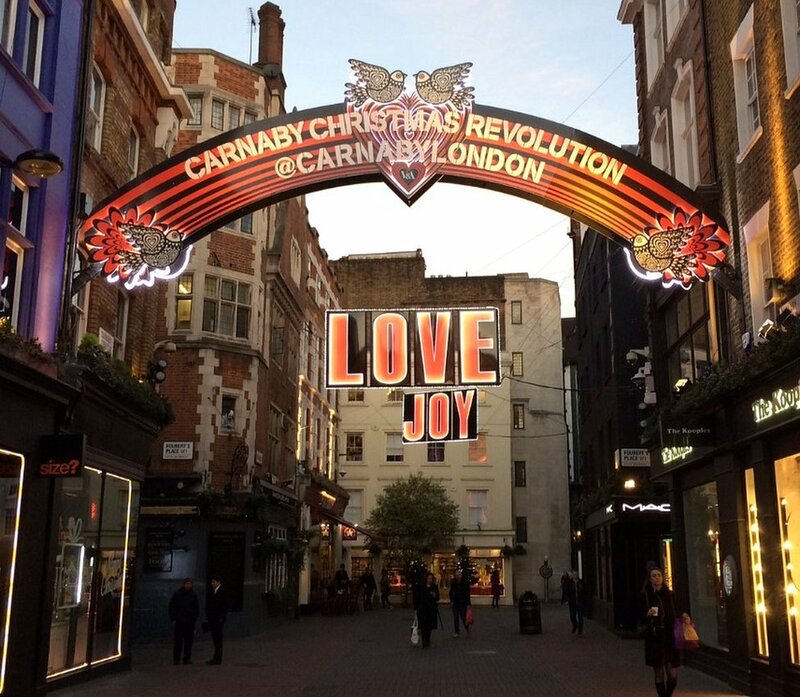 In the heart of the West End, Carnaby Street found fame when it became the centre of "Swinging London" in the 1960s. 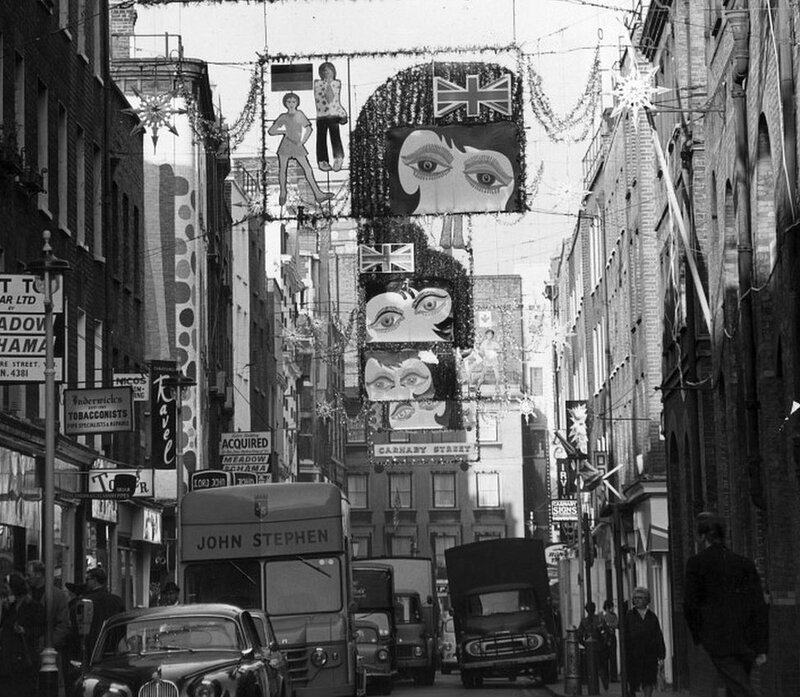 The Christmas lights in 1967 reflected this, as does this year's display which has been inspired by the V&A museum's new exhibition "You Say You Want A Revolution? Records and Rebels 1966-1970". All archive images courtesy of Getty Images. 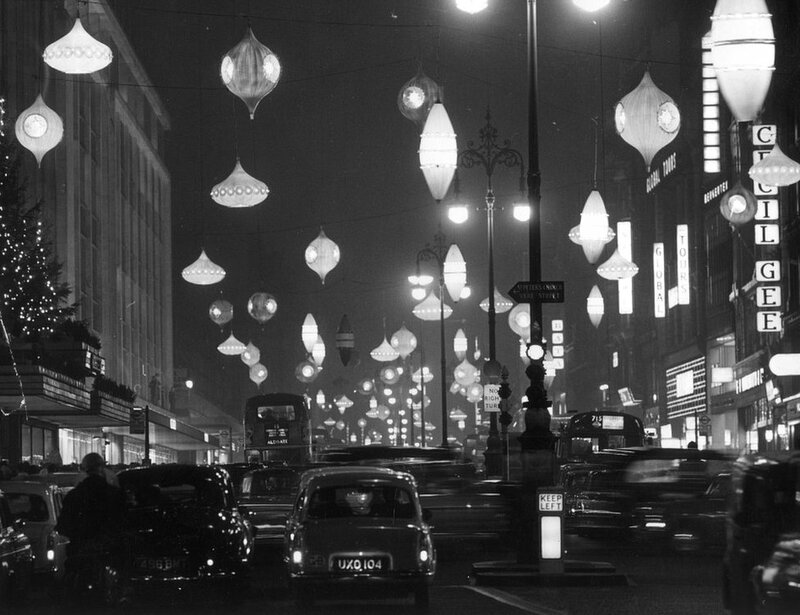 The Christmas lights in 1967 reflected this, as does this year's display which has been inspired by the V&A museum's new exhibition "You Say You Want A Revolution? Records and Rebels 1966-1970"